Please take a look at the video below from Pioneer which gives you an introduction to the mixer. 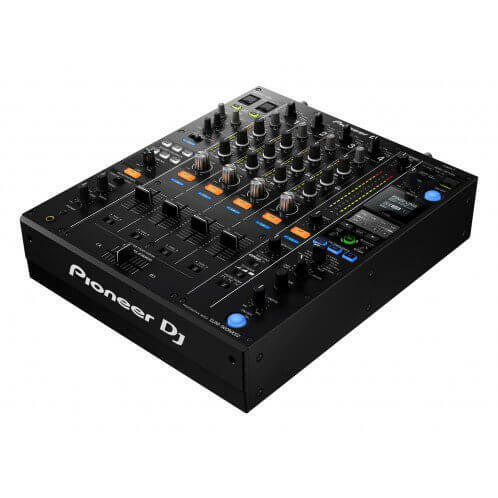 Pioneer DJM 900 NXS2 Hire – Are you looking to test out the new Pioneer DJM 2000 NXS 2? We are pleased to announce we are one of the first hire companies to carry stock of this item for rental. We also have stock of the new Pioneer CDJ 2000 NXS 2 CD player to go along with the mixer. If you need a sound system/pa system to go along with this please click here to see what we can offer. The Pioneer DJM 900 NXS 2 comes flight cased with phono cables & power cable. Pioneer have given the CDJ-2000NXS2 a 96 kHz/24-bit sound card and added FLAC/Apple Lossless Audio (ALAC) support – paving the way for more producers to create music in this top quality format. Browsing and track selection are even more intuitive with the high-res touchscreen, Qwerty keyboard and Track Filter search. The screen also packs in a multicoloured wave display, more detailed rekordbox™ information and instant access to all the most popular features. The player now has 2 banks of 4 Hot Cues – 8 in total. And, if that isn’t enough, you can connect the DDJ-SP1 controller to add even more Hot Cues and loops and control 4 players from one device using Pro DJ Link.